The home should be a place in which to relax. It also needs to be a welcoming place for friends and family. How does one go about creating a home that has a relaxed and welcoming atmosphere? There are a number of ways to achieve this. For a welcoming space, one needs to start with the spot that welcomes visitors into the home. The right door can mean the difference between a cold and forbidding house and a space that is a warm, relaxed and welcoming home. A company such as Rusco Industries can provide just the right door to suit the design of the house and to create a welcoming environment. Painting the walls in pleasant hues can add warmth. When it comes to color, be willing to be bold. 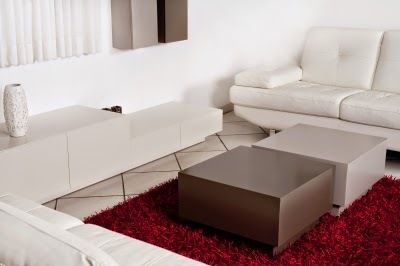 However, don't use so much of a strong color that it becomes overpowering. One room or even one wall in a room painted in red or orange can add a lot of warmth and flair. Shades of blue, on the other hand, bring a relaxed and calming effect. When choosing what color to use, think of the room and its uses. Colorful accent pillows scattered about on sofas and chairs can make a space more welcoming. These can soften the look of a room and are a budget-friendly way to remake the feel of a space. These can be easily found in a variety of department stores and even discount stores. Another way to make a home more relaxed and welcoming is to add a few plants. These can range from the simply beautiful to the more practical. At the practical end, there are herbs that can be grown in containers and used in cooking. A dark house can be dreary. Add a variety of lighting options to your home. Choose lighting fixtures that are both beautiful and practical. Avoid leaving any corners of the house without adequate light. To be welcoming, a house needs to have plenty of places for guests to sit. Choose a variety of comfortable seating options, and consider some fun but less conventional choices such as floor cushions for extra seating. With just a few simple steps, any house can be a made into a relaxed and welcoming home.